Chop the Ball not the Beard! She is a Chopper From North Korea. Last edited by manofan on 11 Aug 2016, 10:45, edited 2 times in total. 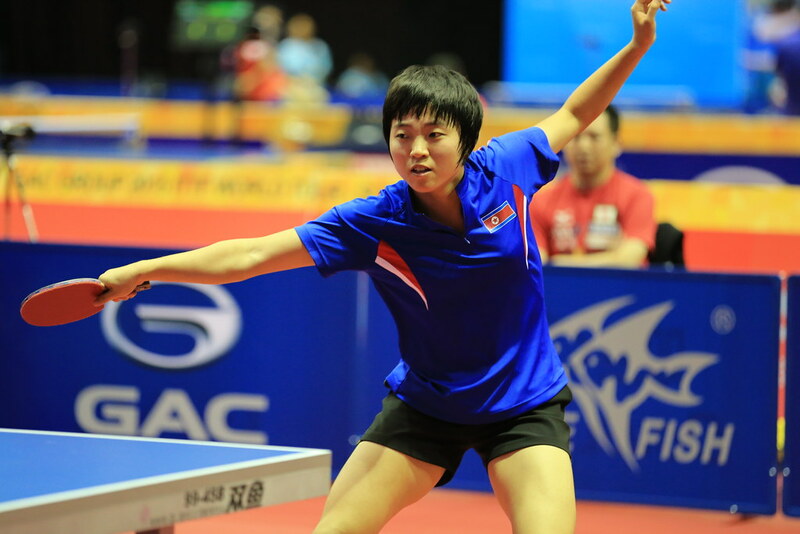 Kim Song I vs Ito Mima (China Open 2015 - R32). See at 5:16. What a point! Spoiler: Kim Song I won. My first time watching her, and she's got a very interesting chopping motion on the backhand side. Notice how she brings the paddle ALL the way across her body rather than just to the middle/front. The result, I assume, is some sidespin, but she also seems to be keeping all her chops (forehand and backhand) super low. Would be very curious to know what she's using on her backhand. according the sponge colour ( photos above), probably it's Curl P4 or Feint-Soft. Some North Korean defenders use Feint-Soft.. But did you notice it's a white sponge ? It's some type of BTY I was thinking F3 ? I just saw her yesterday in rio16. 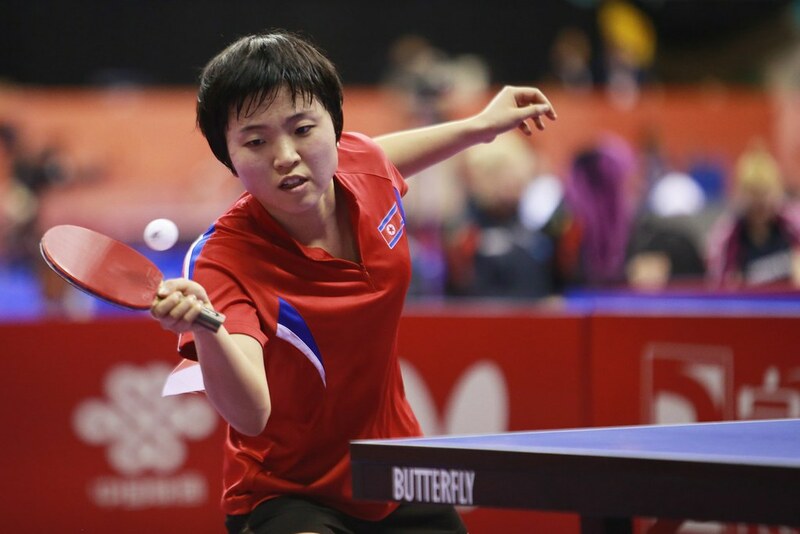 I just watched Kim Song-I win the bronze medal, defeating Ai Fukuhara 4-1. Very exciting. She seemed to play more focused and attack more often than in previous competitions. I wonder if Kim is perhaps the 2nd defensive player to win an Olympic singles medal, besides Kim Kyung-Ah.